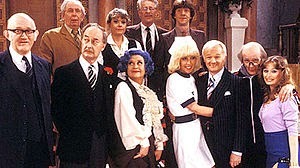 Uncle Tatty Remembers : Whatever Happened to the "Are You Being Served" Cast? Sadly, Mike Berry is the only surviving member of the cast. Hi, many thanks for reading the article and for commenting. Nicholas Smith is still with us as far as I am aware, although now quite elderly in his 80s. That is unless you have heard differently. Young Mr Grace went on holiday to do more research on Nesting habits of Birds. Old Mr Grace took over. The end of Series 8 'Roots', Young Mr Grace returned for Old Mr Grace's Birthday. 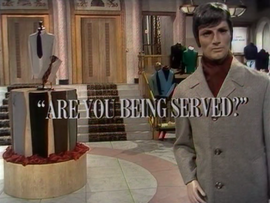 It was the last appearance of any Mr Grace in the show. Young Mr Grace (only referred to as Mr Grace but a painting clearly showing Young Mr Grace) was in the spin-off 'Grace and Favour', where the store was closing after his death (so we can guess that Old Mr Grace died between the end of Series 10 and the start of the spin-off). RIP Nicholas Smith. What a terrific actor in an awesome show! Thank you for the update on cast members. I love this show and still watch it. May God rest all of them and I pray they know that their joy and love touched us and continues on to this day.